Customized 5″ tall x 7″ wide glossy color print with details on back. The name you want printed, up to 25 characters. 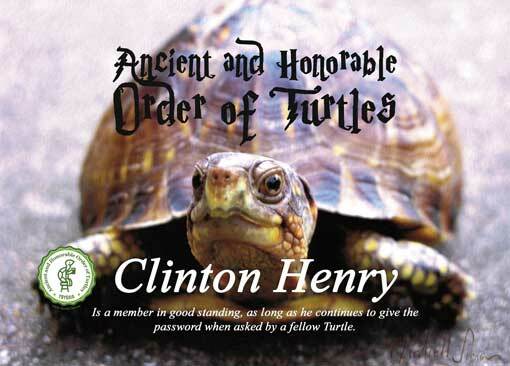 Ancient and Honorable Order of Turtles full color, glossy 5″ x 7″ print with explanation of the Turtle Club on the back. Customized with your name. Suitable for framing.